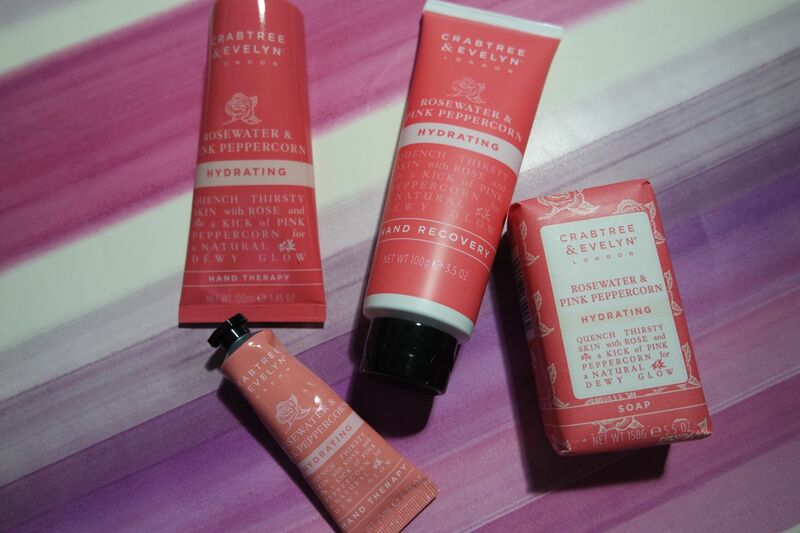 One of my favourite scents so far that I have tried from Crabtree & Evelyn has got to be Rosewater & Pink Peppercorn. The fragrance is described by the brand as Rose petal notes heightened with the sweet spice heat of Pink Peppercorn and Akigalawood, captured from Patchouli. The soap is great as it leaves your hands not only clean, but smelling great. It is also very moisturising. Often soaps can dry out your hands but the shea butter hydrates your hands leaving them soft and clean. The hand creams (hand therapy) are very moisture rich but are a non greasy formula and you can really feel them working on your hands. The hand recovery is not something I had tried or heard of before. It is a gentle exfoliating wash to help remove any dead skin and dirt, prepping your hands for the hand therapy. oo this all sounds amazing great products! I love the sound of rose water! Would really like to try out this product. Hand creams are so good to have no matter where you go. I’ve been trying out this range too and so far so good! I hate it when soaps leave my hands dry, and they usually do! That’s such an interesting duo! Never heard of it before! I love this brand, there store in Convent garden is fab!